Underneath the principal Sail Port Stephens label a number of subsidiary competitions will play out, the perfect symbiosis of classes utilising the framework of an established event while the event attracts entries and reaps the kudos of hosting major titles. 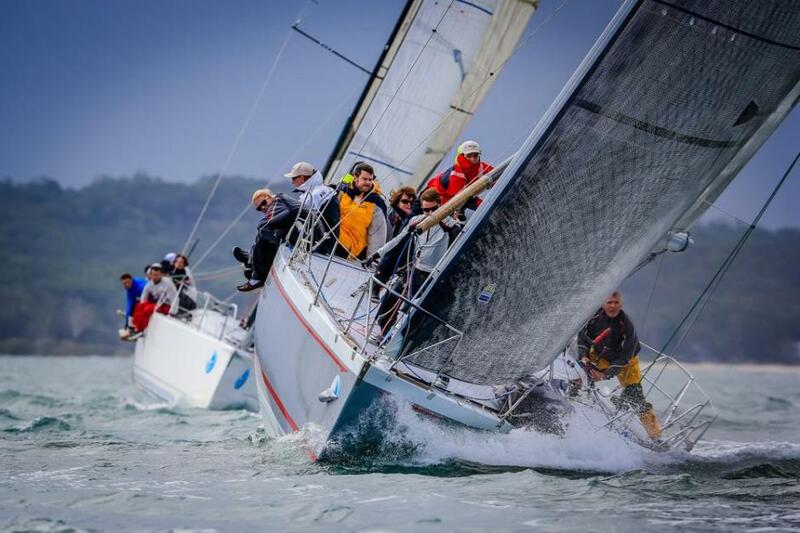 In the latter stages of the primary regatta separate fleets will contest two state titles, the NSW IRC Championship and Sydney 38 One Design Class NSW Championship, from Friday 17 through to Sunday April 19, 2015. Richard Howard and younger brother Will are ditching mum and dad from the family Beneteau 40.7 called Schouten Passage and going it alone in the IRC state title with a group of mates from the old Tow Truck days. “We’ve got all the furniture on board, and the hot water, but a pretty good set of race sails. It will be a bit of fun; we won’t be particularly serious,” says Richard. He may downplay their intentions except the reunion of the Lake Macquarie and Newcastle crew brings together a savvy assembly of sailing talent including Anthony Patterson, Garry Van Dyke, Paul Williams, Troy Poulsen and Dave Hill. Andrew and Pauline Dally’s purchase last year of the DK46 Khaleesi, formerly Exile, elevated them to a new league having been “in the wilderness” for some time results-wise. A CYCA Trophy division 2 win, third in the Sydney Short Ocean Racing Championship and a recent third in the CYCA’s SOPS series are achievements tallied up in a short timeframe the couple and crew proudly reel off. 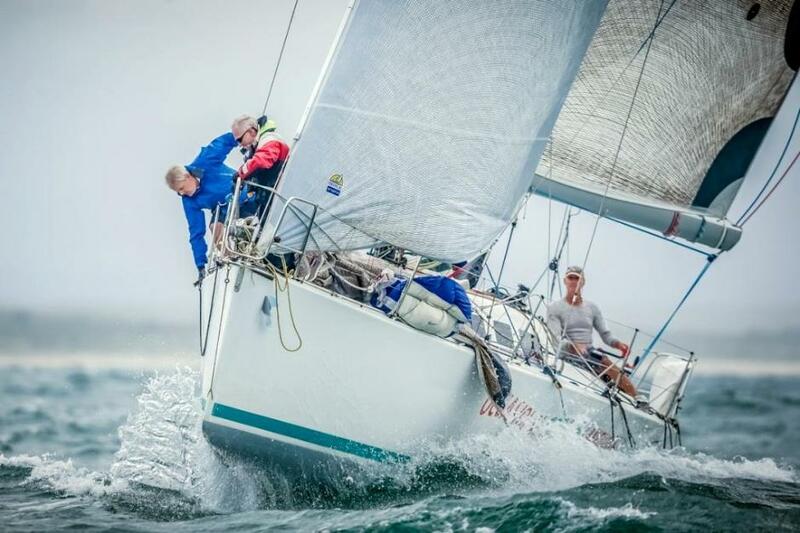 The Dallys hope to meet Bob Cox’s near sistership Nine Dragons, the current Audi IRC Australian class B champion and second in division at Geelong’s Festival of Sails back in January, on the start line at Port Stephens with Khaleesi, which means dragon tamer. Andrew directs the rear guard and steers downwind, particularly offshore when regular helmsman Dave Bridges is due for a break, and Pauline’s typically on the iPad in charge of courses and calling the lay lines, among other tasks. The DK’s three meter draft makes inshore racing and therefore Commodore’s Cup entry impractical so having used the Royal Prince Alfred Yacht Club’s Pittwater to Newcastle race and Newcastle Cruising Yacht Club’s Newcastle to Port Stephens feeder race to deliver the boat to Nelson Bay, Khaleesi will go straight into the NSW IRC Championship. Current Audi IRC Australian class C champion and overall winner of last year’s Rolex Sydney Hobart, Roger Hickman, has submitted his Sail Port Stephens IRC state championship entry paperwork for Wild Rose. 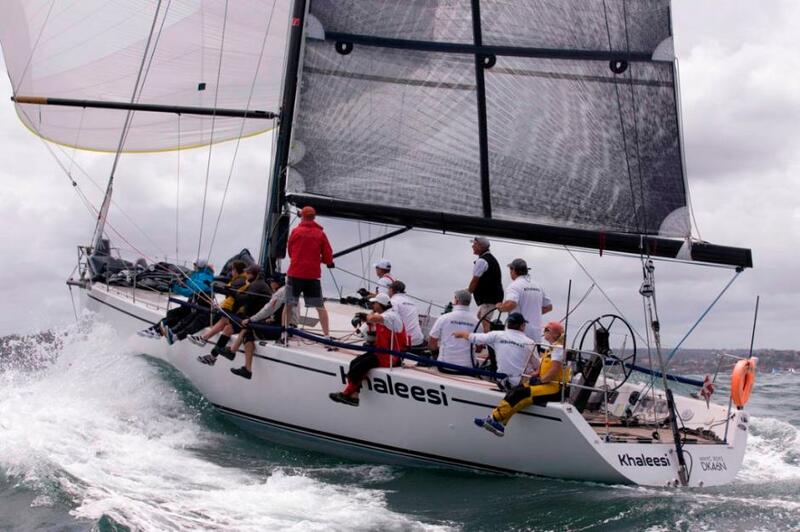 The ageless Farr 43 returns to Nelson Bay in April and in August the Sydney crew hope to defend their national IRC crown at Audi Hamilton Island Race Week. Sail Port Stephens is proudly supported by the NSW Government through its tourism and major events agency, Destination NSW. The week-long event conducted during the second week of the NSW school holidays opens with the Commodores Cup Cruising events, April 13-15, followed by a day’s rest before stage two, the Port Stephens Trophy events, NSW IRC Championship and Sydney 38 state titles commence on Friday April 17 through to Sunday 19. The Junior off the Beach One Sail Series runs from April 15-16.